You are here: Home / Bez kategorii / What Constitutes a Good Museum? 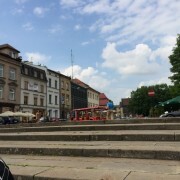 Since coming to Central Europe, we have visited many museums. Some of them were really interesting and introduced us to new information like the Holocaust museum in Budapest. Other museums were not as informative or were very flashy and over-the-top such as the House of Terror also located in Budapest. Our recent trip to Warsaw has had a similar effect on me as Budapest. We visited a very flashy museum called the Warsaw Rising Museum and another amazing museum called the Polin Museum of the History of the Polish Jews. The difference between these two museums was startling, not only content-wise but also architecturally, begging the question of what constitutes a good museum. The Warsaw Rising museum is comparable to the House of Terror in how it is structured. 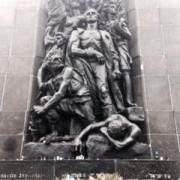 It was actually inspired by the House of Terror, and the Holocaust museum in Washington D.C. Walking through, it was very apparent that the largest influence of these was indeed the House of Terror. 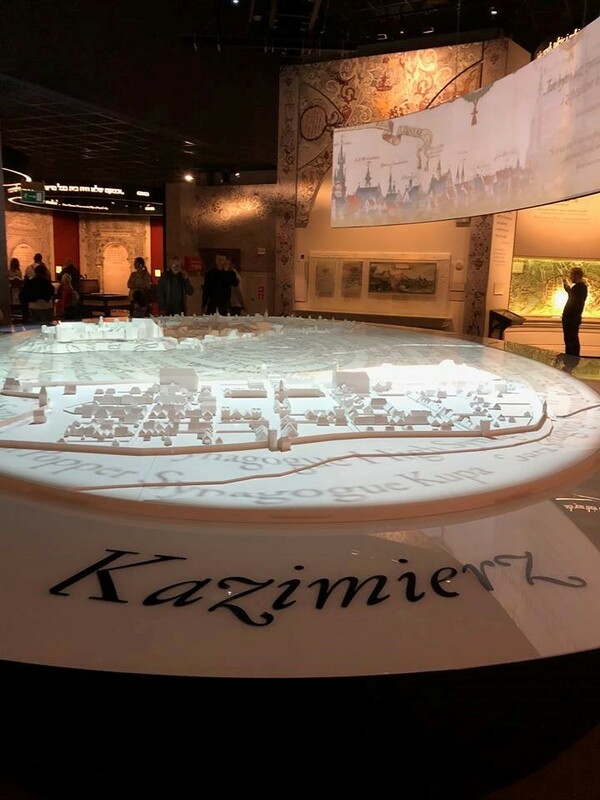 The Warsaw Rising Museum was the first interactive museum in Warsaw, and as Monika Zychlinska told us, many locals enjoyed it and the information it provided. As an outsider to the history it presents, me and many of my peers thought that the Warsaw Rising Museum provided too much entertainment to the viewer. A museum such as this one should provide serious information in a way that is comprehensible and easy to follow. Instead, this museum was confusing as soon as we entered. There was too much noise that distracted away from the information, and there was no clear path for the visitor to follow. Every item with information was in both Polish and English, except for the Polish-only calendar cards that did indicate somewhat of a path to follow. And it was children who were mainly looking for these cards, treating them like a game. In my opinion, such a serious topic shouldn’t be treated in this way. 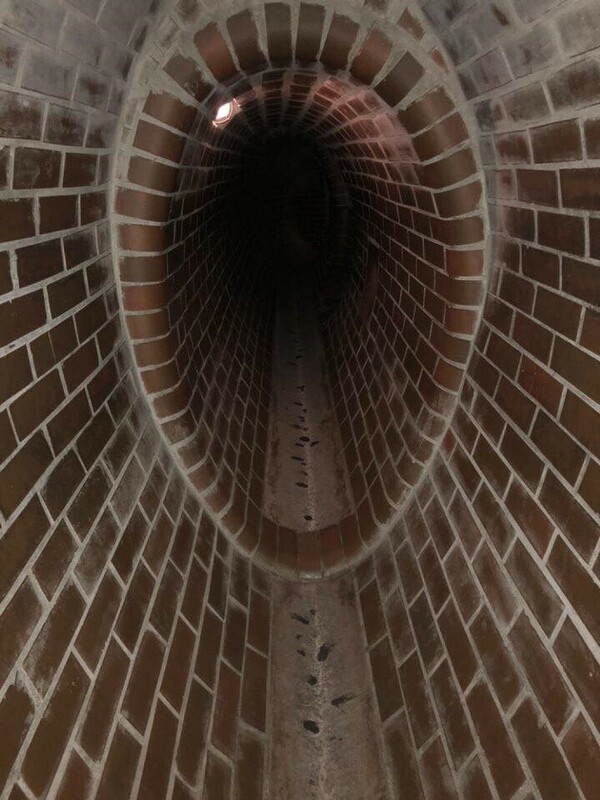 Tunnels from the Warsaw Rising Museum. Photo by Alex Wilgocki. The Warsaw Rising Museum, while interactive, was overdone. There was a point that I became too overwhelmed with everything presented to me that I stopped reading the information and just looked around at the displays. If a museum loses your attention, can it still be considered a good museum? In the basement, which was really difficult to find, there were replicas of tunnels where the people involved in the Warsaw Uprising met to pass along information. The intent of this exhibit was probably to physically show the seriousness of their situation. 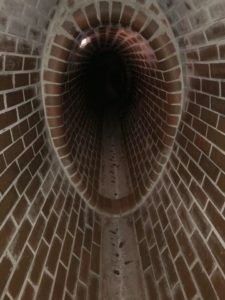 Instead, going through the exhibition tunnels felt like you were playing hide and seek, especially if you were with your friends. It was also problematic how it portrayed children involved in the Uprising. It glorified their roles as children soldiers, presenting an uncritical portrait to children visitors who were to look up to their peers in history who fought bravely for their country. Overall, the Warsaw Rising museum was very showy and did not treat history with the seriousness that I would have expected. 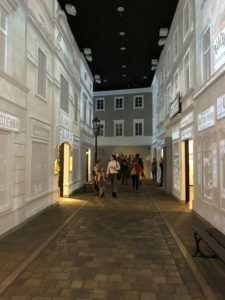 Replica of Jewish street in Warsaw. The other museum we visited, the Polin, was completely different from Warsaw Rising Museum. 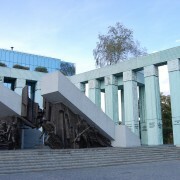 The Warsaw Rising Museum was centered around the 63 days that comprised the Warsaw Uprising in 1944, while the Polin museum shows the entire history of Jewish people up until the present, mainly focusing on Poland’s Jews. The architecture of each museum differs as well. 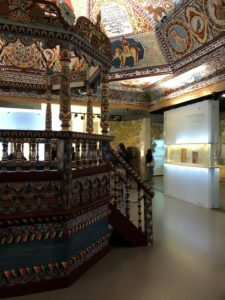 While the Warsaw Rising Museum is untastefully flashy and heavily symbolic, the Polin museum is refined and beautiful, incorporating architecture into its displays. For example, there is a hallway that resembles a street and the audio guide tells you to imagine all of the Jewish businesses like these disappearing once the war begins. Other rooms include a cafe, a classroom, a library, a marketplace, and a replica of a synagogue. 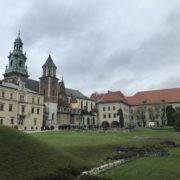 By transporting the viewer into the physical landscape, you get a deeper understanding of what the Polish Jewish community had been and what was lost. In my opinion the Polin succeeded in detailing the life of Jews pior to their destruction in WWII in a very relatable, humanistic way. 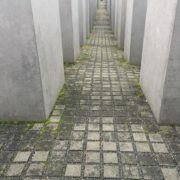 The Polin museum was also able to provide a clear path for the visitor to follow. With the audio guide, it became even easier to navigate the displays. The museum was also structured in a chronological way, unlike the Warsaw Rising Museum which didn’t seem to have an order or a clear path. 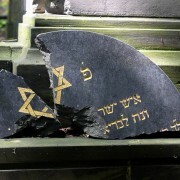 It was really interesting to learn about the origin of Jews from the Polish perspective. Many people aren’t aware of the Polish history of Jews, so I thought it was a good idea to provide this background information in the exhibition. By providing this knowledge to its visitors, the Polin was able to humanize the unique Jewish history and experiences. Within every room, the Polin displays had interactive elements, but there was not an exuberant amount of them and they added to the information instead of distracting from it. 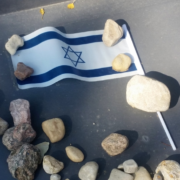 Some even provided the visitors with the chance to pretend they were in the position of the Jews, such as taking a quiz to determine what political party you would be affiliated with. The Warsaw Rising Museum, on the other hand, failed in my opinion in balancing interaction with distraction. That is, their displays were sometimes too much like a game that often took away from learning about the history of the 63-day fight. 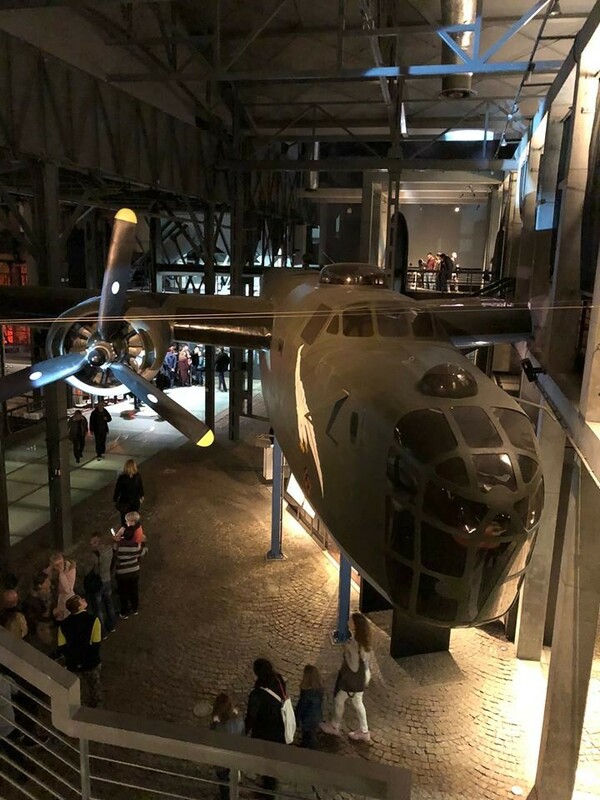 Airplane in the Warsaw Rising Museum. While each museum was established for different reasons and for different audiences, they both were able to leave lasting imprints on the viewer. Both the Warsaw Rising Museum and the Polin museum were unique and I will remember them for years to come. The Polin museum is undeniably a good museum with easily understandable content and good sources of information. 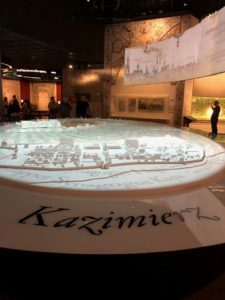 The Warsaw Rising Museum is lacking in clarity on many things and is confusing in terms of how it provides information to the viewer, making it difficult to understand. Because of this, I do not believe it is a good museum. In our class discussion, Andrea Petö, author of Hungary’s Illiberal Polypore State, casually referred to museums like the House of Terror and the Warsaw Rising as the McDonald’s of museums. People often go there for information but end up leaving entertained. Interactive Display at Polin Museum. Going forward, we should ask ourselves: what is the best way to memorialize events and people, without dehumanizing them? In this respect, the Polin can definitely serve as a guide for future museums and generations to come.